The Indonesia Seaweed Industry Association (ASTRULI) is a forum for the Indonesian processing industry and the manufacturers of seaweed derivatives. Its role and responsi­bility is to encourage the development of the seaweed industry in a sustainable and competitive environment in Indonesia. ASTRULI was established to communicate, coordinate and distribute information among members and stakeholders. Its values are based on the principles “harvest, process and market effectively and efficiently”. The organization aims to position Indonesia as a one­-spot location for processed seaweed products and to achieve a competitive advantage for the country in the global market. 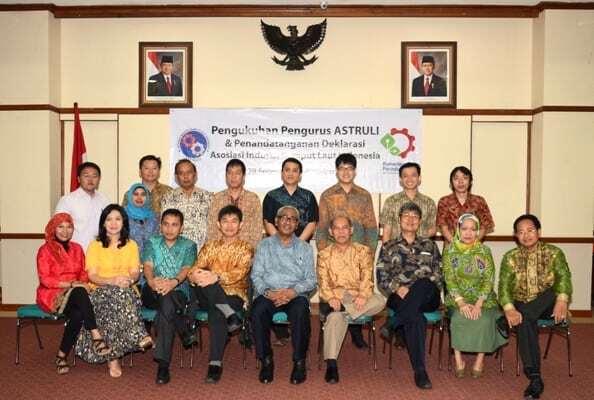 Through the development and strengthening of the role of the Indonesian processing industry and the utilization of formulation technology to produce processed seaweed product, ASTRULI also assists the Indonesian government in job creation (pro­job), economic growth (pro­economic growth) and welfare improvement (pro­poor). ASTRULI currently has 20 members, of which 10 are processors of Carrageenan and 10 are processors of Agar. The members have a wide experience in servicing international markets and certifications ranging from Kosher and Halal to BRC, HACCP, FSSC, ISO 9001 and 14001. All members have signed the ASTRULI code of conduct that governs professional and ethical behaviour of the members.